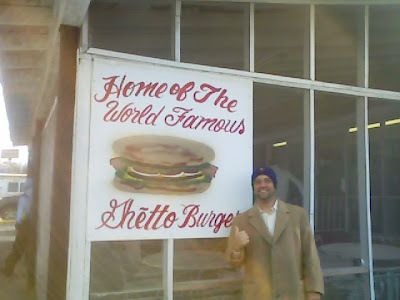 Unsuccessfully tried to buy a Ghetto Burger at Ann’s Snack Bar in Atlanta today. The burger, of course, was named the best in the country by the Wall Street Journal last year. A good friend and I arrived at 11 a.m. — waited nearly an hour outside in the frigid Atlanta air. But, we didn’t make the first seating. Ann works alone and only serves 8 people at a time. Opens the doors when she wants to. “She dances to her own drum,” one patron remarked. We plan to try again in two weeks.